The jail-break to free Batman hits a snag when Cyborg has trouble hacking the Watchtower teleporter, And as Lex Luthor flies off to confront the tyrant Superman, Harley Quinn faces a new crisis. The Joker from another world has freed himself and turned most of her gang against her. 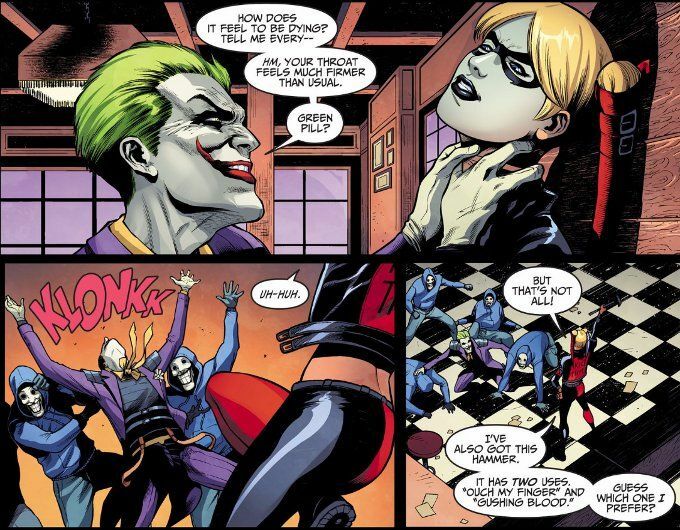 Can Harley fight against Mistah Jay AND her own followers? While Ground Zero has never been a bad book this issue shows a marked improvement on recent issues, where the need to show the action of the Injustice game for the benefit of those readers who haven't played it slowed the pacing a bit. 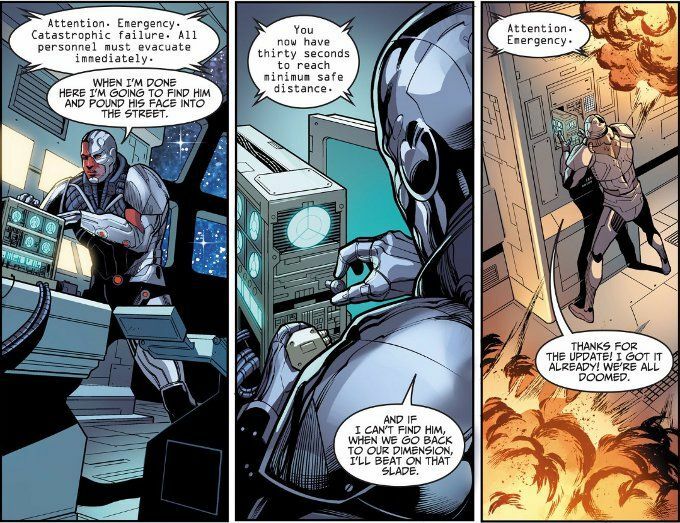 This chapter has no such issues, with the various subplots moving at a rapid pace. Harley's story remains the high-point, however, with Christopher Sebela showcasing a true command of Harley's rich character and internal conflict.